If you’ve got to know us a little over the last year or so, you’ll know that Plantables is a little spin-off from our other venture, Roelands Plant Farms. So this week, we thought we’d take you for a little virtual tour of the place that your brag-worthy fruits and veggies are planted, grown and loved until they’re ready to ship right to your door. First of all, we thought we’d show you a video from a few years ago, that shows some of the cool gadgets and technology we have that help us grow large amounts of healthy, happy plants. What you’re seeing in this video is the hydroponic medium being prepared and watered ready for the seeds. And because we grow plants for growers across all of North America, we use these machines to make the whole process quicker, more efficient and more accurate. Once the seeds are in the growing medium, the whole process becomes a lot more hands on. Our entire greenhouse is controlled by a computer that makes sure your plants are always at their happiest and healthiest. The computer controls the temperature, the humidity and a whole host of other important things so that your seedlings always get just the right amount of everything they need. OK, this one is really cool. We use this machine (designed and made in Holland) to move the plants when they grow up and start wanting a bit more space to themselves (like typical teenagers). Look at how satisfying it looks as they glide off and onto the floor! OK, this isn’t technically technology, but we still think this is really cool. It’s a common misconception that all bugs are bad for your plants — but some bugs aren’t bad at all. These Swirsky mites, for instance, are actually superbugs. 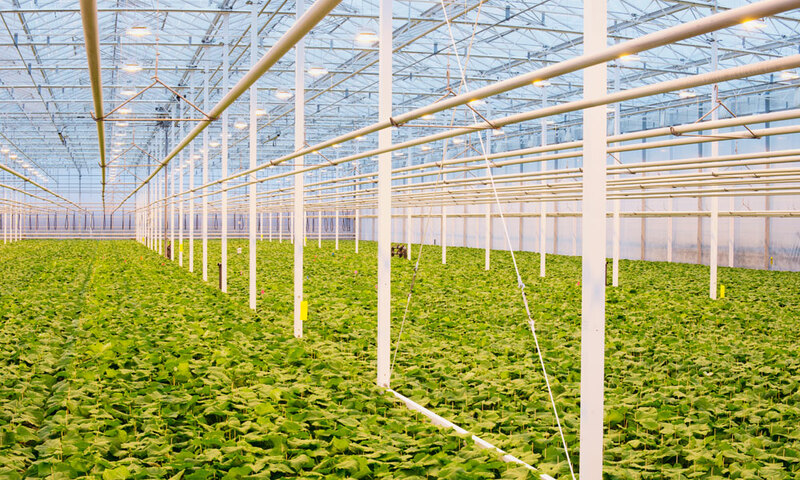 Instead of spraying your plants with chemicals and insecticides, we release tens of thousands of these superbugs in our greenhouse, and they hunt down all of the bad bugs that want to snack on your plants. And because they have voracious appetites, they’re super effective and make sure that we don’t have to spray your plants with any nasties at all. Everything that happens in the greenhouse is all 100% natural! So there you have it, a little peek behind the greenhouse curtain to see how your Plantables plants are planted, grown and loved right up until the minute they reach your front door!